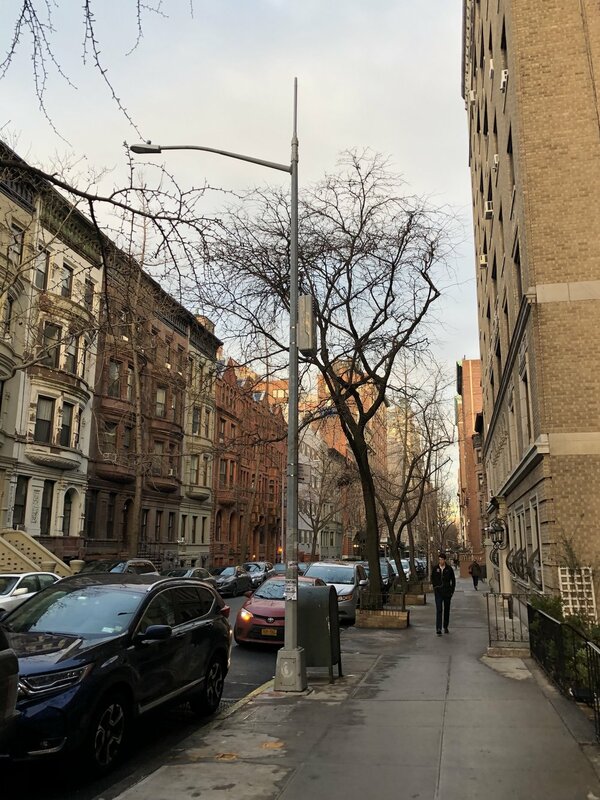 Some New Yorkers are asking if 5G is really coming since they havenâ€™t seen 5G antennas going up, but admit that they don't know what a 5G antenna looks like. (See photos, below.) While we are all sleeping or trying to sleep, during the wee hours the telecom installation trucks come out to install the 5G antennas. Youâ€™ll receive a consultation for effective remediation solutions. Youâ€™ll receive an EMF Report that includes additional free or low-cost recommendations for remediation including a variety of links and discount offers. Included may be notes for your electrician, your plumber, your building management, and your local power and telecom companies. Youâ€™ll receive helpful knowledge, through clear demonstrations, that we believe will help improve your health. Youâ€™ll receive an included complimentary phone consultation to discuss the EMF report and address your questions. Weâ€™ll help you with the language needed to successfully communicate with your various service providers. If you forget something, just call us, again, complimentary. We are here to help. The first thing we test is your equipment ground for integrity. Thatâ€™s the bottom 3rd prong socket in your wall outlet receptacle, (see the photo to your left.) We measure to see if there is a voltage and/or current on your ground conductor and measure the frequency band. (We can do this without even removing the outlet receptacle plate cover.) We are the only company that provides this service. We check all of your GFCI (Ground Fault Circuit Interrupters) for correct polarity, for open grounds, for ground-to-neutral proportion, and over-all proper function. If a GFCI doesnâ€™t function correctly, a shock could be lethal. We can check all of this without removing the outlet receptacle plate cover! We measure the AC VOLTAGE, AC CURRENT, AND AC FREQUENCY on your skin and we measure your epidermal DC VOLTAGE and DC CURRENT. This is the electricity that is taxing your adrenal glands while you are trying to sleep or at your computer workstation making you exhausted. Weâ€™ll work to get these levels lowered. We are the only company that provides this service. We measure the THREE-DIMENSION POTENTIAL-FREE AC ELECTRIC FIELDS: the 60 Hertz E field and corresponding harmonics that are in the air that surrounds you while you are in your home or office. Only Building BiologistsÂ® with the EMRS training are doing this! ..and, we are the only company in NYC with this training. We measure the EMFs emitted by your home appliances, power tools, computers, electronics, lamps, lighting, modems, WiFi extenders, Alexa, cordless phones, smart phones, iWatch, smart TVâ€™s, security system RF, solar power convertor ELF, wind turbine convertors, air purifiers, air conditioning, electric water heaters, and more. We can show how any of these effect your heart rate, blood-oxygen level, your DC voltage and DC current. We are the only company that provides this service. We measure the DC Magnetic Fields with a DC magnetometer made for the aerospace industry. Earthâ€™s energy can magnify your bed frame and bed springs, cause structural weaknesses in a building, compromise your auto-immune system, cause insomnia, and more. We are the only company that provides this service. Weâ€™ll make sure your RF SHIELDING Swiss Shield bed canopies are properly installed. Weâ€™ll measure the EFFECTIVENESS of any EMF shielding and â€œEMF blockingâ€� devices you may have purchased. Weâ€™ll provide tips on how to lessen DC electrostatic energy. Static electricity is what causes those shocks when you remove your winter scarf or open your curtains. This is not a good thing if you have a pace-maker or a heart condition. We have developed a new application that adds to the effectiveness of our EMF remediation work and greatly improves your health. We call it the Galileo Protocolâ„¢. Every chemical reaction is the result of the coming and going of electrons. The electrons in every biological cell provide the spark that sustains and gives us life. When AC fields couple with our bodyâ€™s DC field, the electrical circuits on our skin experience EMI electromagnetic interference. With our Galileo Protocolâ„¢, we measure this phenomenon. Often, itâ€™s an increase of up to 60 KHz (thatâ€™s 60,000 Hertz) and beyond! Add a strong AC voltage to the skin from handling a charging iPhone (about 6 Volts), an electric bed (about 7 Volts), or placing a charging laptop on your lap using a 2-pronged plug (near 40 Volts!) and the 1,000-100,000 Î© (ohms) resistance of the skin quickly becomes violated by this biologically unnatural force. The internal resistance of the body is about 300 Î©. So, once beyond the epidermal and dermal layers, these AC currents bringing high transient frequencies can travel to wherever they can locate a negative charge. (Electricity flows from positive to negative.) Yes, thatâ€™s potentially any healthy cell or organ! We believe that the best start to healing from any illness is to reduce your exposure to EMF, electromagnetic fields. At ELEXANA, (Latin for: â€œElectronic-Sana, or Electron-Health) this is just one reason why we are so passionate about our work. It never ceases to amaze how technology can come to market with a seemingly complete disregard for human health and safety. In 2018, we continue to unquestioningly promote an Industrial Revolution Era viewpoint on our existence regarding technological innovation while our US population continues to suffer exponential growth rates in cancer, neurological diseases, autism, and impotency. Our electromagnetic safety standards for protecting the function of computers and electronics continue to be more strict than electromagnetic safety standards for protecting brain function and general health. Once again, this was brought to light, pun intended, yesterday. Yesterday, I was testing and health consulting on the electromagnetic fields in a residence on Long Island, NY. There was a multitude of EMF issues and no surprise to me that someone in the family had breast cancer. There was one EMF situation, in particular, I had yet to encounter. While surveying the electrical currents and frequencies that were traveling through the indoor air, using a Gigahertz Solutions NFA 1000 3-Dimensional Near-Field Analyzer (made in Germany), I recorded the most unusual reading. Most EMF Technicians can only measure the EMI (electromagnetic interference) on the hot wire of the corresponding circuit. This is an indication of the "dirty electricity" that could have an interrupting effect on your electronic devices that are plugged into a wall outlet, but not necessarily traveling through the indoor environment. The NFA 1000 gives us the ability to measure the EMI that is actually in the air which could have an adverse effect on all electronic computerized equipment and on you. The dominant frequency is lit in Red and the power density measuring in V/m3 registers on the digital LED screen. The secondary frequency is in Yellow, and all others are in Green. Usually, I will see the monitor briefly record intermittent peaks in the EMI, but usually the 60 Hertz frequency is dominant. Yesterday, in the eastern bedroom, the Red light just stayed fixed on the R < 2 kHz, the EMI. The power density was a whopping 24.5 volts per cubic-meter! It turns out that installed into the overhead lighting fixture were new wireless lightbulbs. This was the first time I had ever heard of wireless lightbulbs. These were removed and immediately the R < 2 kHz went to Green, the 60 Hertz light went to Red registering @ 1.4 V/m3. The EMI was essentially eliminated by removing these bulbs! What else can we invent to destroy ourselves? When will we, as a society, consider our health and mental wellness a top priority, and not our profits, convenience, and temporary comfort? â€¦is better than Romex for your health. There are various ways an EMF Testing & Consulting Company can provide a price-quote for your EMF on-site services. Some companies use square-footage metrics, number of rooms and floors, type of dwelling (apartment vs. stand-alone house), hourly rate, or any variation of the above. 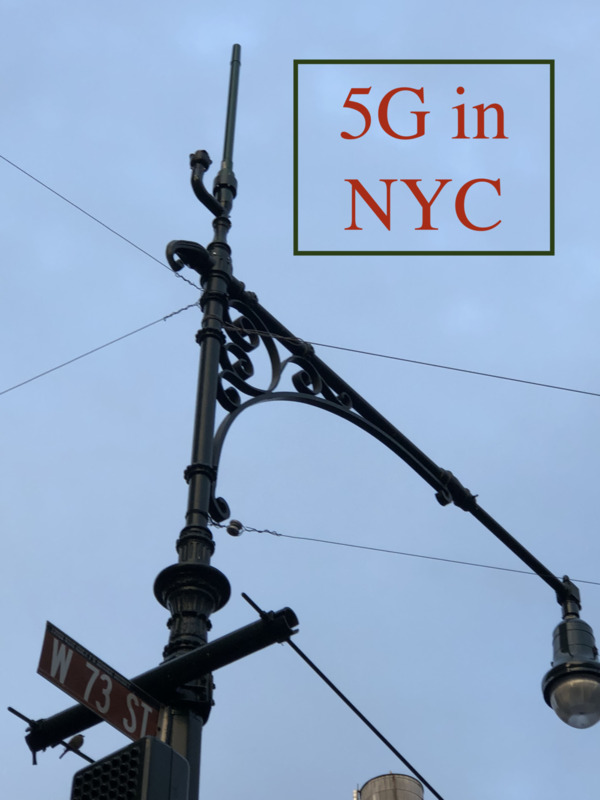 We take into account a variety of measures to help us gauge how long the testing will take, what our travel costs will be if leaving New York City, and our time spent traveling. We place an emphasis on the sleeping areas, so the number of bedrooms is weighted. We donâ€™t charge by the hour because we donâ€™t want you or us to feel a cost-time pressure. Once we have all of the required information, we then log this data into a computer algorithm which then prints out an invoice. Your cost of services will never exceed the amount on the invoice. Simple. You certainly want to take your time and pick the best company for you. 1) Most importantly, choose a company that lists somewhere on their website the name, a biography, and has a photo of the person who will be coming to your home. You want to hire someone who is transparent, professional, trustworthy, and honest. You need to be able to recognize the person coming up to your front door. 2) If someone is advertising that they are licensed and certified to do EMF testing, you need to do your due diligence and verify by insisting they send you a PDF copy of their EMF credentials, or ask for their license number and contact the appropriate office. Check their physical address or is it a â€œfly-by-nightâ€� virtual address? Check their phone number by having them phone you back. What does the caller I.D. read? 3) You really canâ€™t go wrong with someone who has passed IBE Electromagnetic Radiation 212 and IBE Advanced Electromagnetic Radiation 312 with the International Institute of Building BiologyÂ® and Environmental Conservation. The IBE EMRS program is the most comprehensive training in America. It includes over a 1,000 pages of text and supplemental material, 110 hours of classroom lectures, dozens of hours of online work, a dozen live labs with experts, final exams, taking on a mentor for a major final project. The IBE training is more comprehensive than any home inspector, or even any Professional Electrical Engineer receives in the B.Sc curriculum. You know you will be getting someone who has proven that they are knowledgeable. Just because someone tells you that theyâ€™ve been testing so many years doesnâ€™t mean that they have been doing it well. If they were knowledgeable, they would know that this field is always evolving and it's a good idea to sharpen one's skills and stay contemporary with a program like the IBE. 4) If you are trying to decide which EMF Services company to hire, look to see what you are getting and not just choose the lowest bid. No two EMF Services Companies are the same. Just like anything else, you usually get what you pay for. Many companies that quote you a low-ball figure are counting on being able to convince you to buy Stetzer or Green Wave plug-in filters. Can you count on getting an accurate assessment if they are counting on selling you a bunch of products? Call Green Wave and Stetzer and ask them how many of these filters our clients purchase each year. 1) What is the cost if a poor EMF testing overlooks a significant electromagnetic field? We see so many EMF inspectors/experts who do not even measure the electric fields in the air! If they show up with only an RF Meter and a Gauss Meter then you know you are not getting a professional assessment. 2) What is the cost if the wrong EMF service company sells you something that you not only overpaid for but donâ€™t even needâ€¦and, then it makes you ill? 3) What is the cost if you believed that certain measured EMF levels were harmful, but the levels were only measured as being high because the meter was an amateur model, or it was not certified-calibrated? 4) What is the cost if the technician has a bias as to what is a safe level and those levels are simply too high? 5) What is the cost if you are given incorrect information on how to remediate? We also give a discount to all seniors, military service personnel, police, firefighters, school teachers, and MTA workers. (My Dad worked for the MTA, and I know first-hand of their daily struggles.) We will always work with you to make sure you get what you need. We have a passion for this work and for keeping you healthy. When it comes to remediation, our practice is always to give you the best cost-effective solutions. Often, the Law of Diminishing Returns applies to spending on EMF mitigation, too. Costs for could be compared to buying stereo equipment; you could pay so much more for only a small increment of improvement. We will work with you to help determine what is best for your EMF situation and budget. Much of the EMF remediation youâ€™ll need can happen at no cost during the EMF testing and consultation. We spend focused time working to reduce your EMF levels in the sleeping areas. Over the weekend, I had a new client from Santa Monica, California. She informed me that the City of Santa Monica holds EMF testing to be so important to health that it is now funding EMF testing for every resident of Santa Monica. If everyone were knew how impactful EMF is to health, our receptionists at ELEXANA would be overwhelmed with callers. So, what does an EMF testing cost? Just give us a ring @ (212) 706-1252, and we will provide you with a complimentary phone session and quote. It would be our pleasure to meet you and hopefully, have the opportunity to offer our services. Â© 2018 Â© 2019. All rights reserved. Medical Disclaimer: The following article is meant to be strictly educational. It is in no way meant to diagnose, be a diagnostic tool, or offer any form of medical treatment. If you have any of the symptoms mentioned, we first advise you to see your medical doctor or a licensed physician. EMF Sensitivityâ„¢ Â©2016, Â©2018. All rights reserved. Are people gaming the system by claiming they have EHS just to get out of working for a living? I am sure there are. Are people who have various psychological adaptive disorders claiming they have EHS? Iâ€™m sure there are. Are people claiming to have EHS who are actually sensitive to strong electromagnetic fields? I have no doubt. If you are reading this page, you are most likely aware of the "scientific" studies that claim that EHS seems to be nothing more than an imagined phenomena. Are all those suffering from EHS delusional, insane? Is there yet an unidentified group suffering from EHS who don't even realize it or are in denial? Do you often feel an unexplainable pressure inside your skull, tingling or heat sensations on your skin, unexplainable rashes, sudden heart palpitations, insomnia, vertigo, dizziness, or constant fatigue? Do you have a thyroid condition, premature cataracts, headaches only when you are home or at the office, ADHD, short-term memory lapses, mood shifts, adrenal stress, or any strange symptom which the doctors can't pinpoint the cause? All of these experiences or symptoms have been shown to be possibly caused by entering a powerful electromagnetic field or from prolonged exposure to an electromagnetic field. People who can feel these fields or experience discomfort often are identified as having EHS (Electro-Hypersensitivity) or, as we prefer: EMF (electromagnetic field radiation) Sensitivity. Some don't like this term, either. Call it what you will: EMF Awareness, EMF Affected, etcetera. Electromagnetic fields are created by such devices as WiFi routers, cell phones, cell tower transmitters, power lines, home wiring errors, hybrid cars, and much more. According to what I've read, persons with EMF Sensitivity are estimated to comprise 3-5% of the population. We see this number increasing and could possibly be much higher due to both the growing awareness of EMF health effects and the constant addition of new wireless technologies. We have noticed that those who claim to be sensitive or aware of EMF usually began feeling this energy in their early to mid-forties (although lately, we're encountering more and more clients in their thirties and twenties.) Most can relate back to a time in their lives when they spent long periods of time within or nearby strong electromagnetic fields. I was in my mid-forties when I first began presenting signs of EMF Sensitivity. The first thing I noticed was that I could no longer speak with the cell phone up against my ear. I would get a sharp pain in the eardrum area. I could still use the phone's speaker to converse, but it seemed that as time went by, I'd have to hold the phone further and further away. 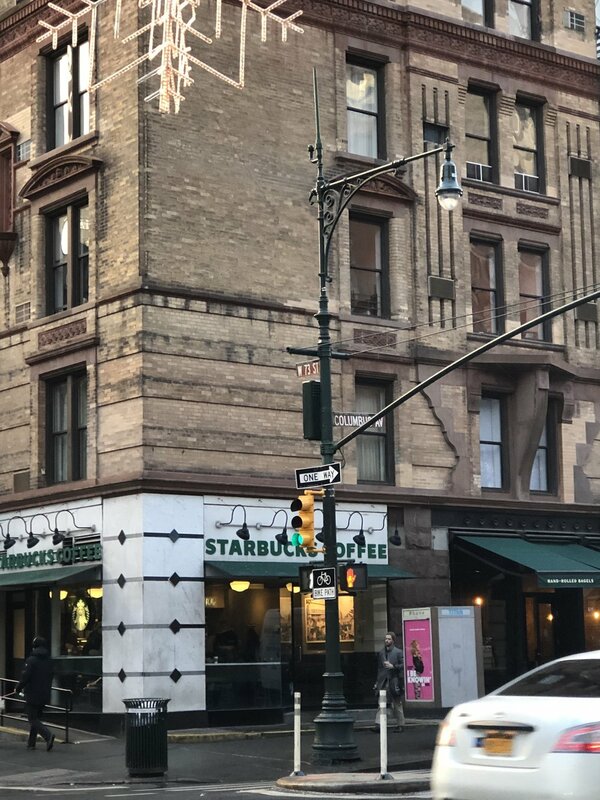 I also noticed that while walking around NYC, I would suddenly get a very sharp pain in my head. If I looked up and around, there would be a cell transmitter very close by, every single time! As the months went by, I noticed that there continued to be a 100% correlation between my getting this sharp pang of pain and there being a nearby transmitter. This was an awful realization. These transmitters are everywhere! In the subways, everyone has a cell phone turned ON! Now, this was starting to become a little unnerving. For me, depending on my level and time of exposure, these symptoms were: an uncomfortable pressure in my cerebral cortex and occipital lobe areas, insomnia, concentration issues, short-term memory lapses, occasional vertigo, occasional loud ringing in the ears, unexplainable rashes, headaches, sharp pain in the head region. Before beginning, let's make this perfectly clear: all of us are adversely effected by EMFs. Growing numbers are suffering from uncomfortable physical symptoms to illness due to EMF. I have tested many homes of those who claim to have EMF Sensitivity. Where certain clients felt the most discomfort was where the levels were the highest. As already indicated, I'm aware of the studies where they say the "data" proves that this is purely psychosomatic and idiopathic. For me, the pain was so real, it was difficult to believe that this was made up by my subconscious. Yes, anything is possible when it comes to the tricks the mind can play. But, what explained the times when I got the sharp pang without foreknowing that a cell transmitter was very close and pointed right at me? Fortunately, I understand the scientific method and process. I looked into every single one of these "studies" which claimed that EHS was "bunk." What did I uncover? Every single one of these "studies" that claim to disprove EHS had a least one flaw in either their assumption, method, or interpretation of the data. To add: any person who has studied statistics or the scientific method knows that a clever person can create a "study" to prove or disprove just about anything! So the concept of replicability enters the scientific testing protocols for verifiability. If an experiment cannot be replicated, then its conclusions cannot be taken seriously. Well, firstly, all pain is in the head! It's our brains that receive the signals from the irritated nerves and then registers these sensations as pain. 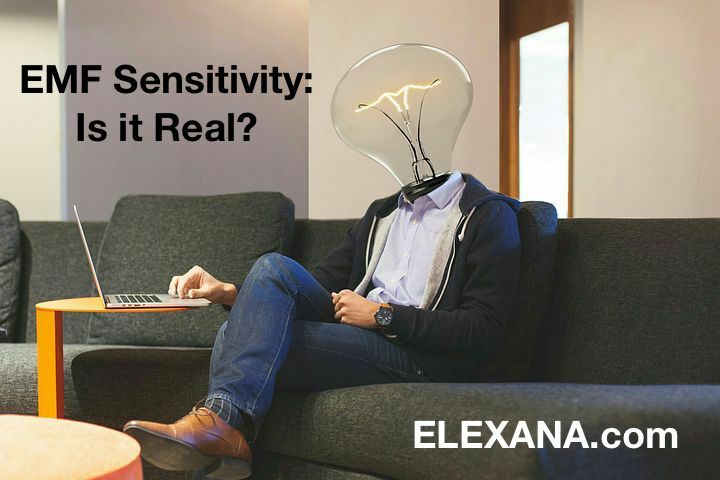 In the case where someone says that they felt pressure from the microwaves and then 10 seconds later did not, when they were exposed again, does not conclude that this person was making their sensitivity up. And, for a scientist to make this conclusion only provides us the fact that they do not understand the nature of EHS, at all. If the nerves within the surrounding fine tissue containing trace amounts of metals such as copper, iron, silver, and others are irritated and that fine tissue now becomes swollen in reaction to the irritation, the nerves may be unable to differentiate a second exposure If the surrounding tissue remains swelled, it will feel like one continuous pressure. In another study showing someone who was "proven" to be duped by a placebo exposure to electromagnetism while they are sitting nearby the testing machine with its two-pronged plug In the nearby wall outlet, while having their feet near the wall containing 120 volts running through Romex cable, and while being in a room filled with fluorescent lighting is just another of the idiotic "conclusive scientific experiments" that only proves the scientists' lack of an understanding of EHS. Because we all have different levels of metals in our tissues and we all have different levels each day, these sorts of tests are impossible to replicate. None of these "studies" are worth a nickel. If I'm in a room with someone who claims they are EMF sensitive and I'm feeling something and they tell me they are feeling the same thing in the exact same place as what I am feeling, well then, that's good enough for me. Period! And, please don't get me started on studies coming from "third-party independent labs." People can be so gullible when it comes to the science and medical industry. Our experience has been verified by scientific studies proving that there are many consistencies between chemical toxicity and EMF toxicity. One significant result is that both interfere with calcium ion (Ca2+) motility and signaling in the body. This interference has a direct effect not only on our neurology but also on our immune function. It appears that chemical and EMF sensitivity are natural results of becoming over-exposed to particular environmental stressors or toxins. The human body is capable of sensing the lowest levels of electromagnetism. Dr. Robert O. Becker (The Body Electric) demonstrated that the human body is sensitive to a direct electrical stimulation down to nearly 100 nano-amperes. A nano-amp is a billionth of an amp or 0.0000000001 amps. A typical American wall-outlet can handle 15-20 amperes. Today, Mount Sinai Hospital is using electrical stimulation of just a few hundred nano-amps to accelerate bone cell regeneration. Now, if you take the cellular signal broadcasted by my iPad mini retina display and measure it with one of our professional meters, the radio frequency radiation emissions read a max-hold at 38.16 milli-amperes per meter (mA/m). Considering that this energy is from an area field dispersion of amperage and not a direct stimulation, as used by doctors at Mt. Sinai, this translates as much more than 38 million times higher than the lowest levels our bodies can naturally detect. Keep in mind, this is just the energy level measured from one isolated iPad, not 80+ cell phones in a crowded subway car! With a simple electrician's multi-meter or our skin-voltage monitor, we can see that the skin will react to electromagnetic fields with a strength as low as a thousandth of a volt, but the test subject will not consciously feel anything on their skin until it gets to many volts. To elucidate even further on how sensitive we are to the smallest amounts of microsimulation from electromagnetism, Guy Doron and Michael Brecht published a work in 2015 titled, "What Single-Cell Stimulation Has Told Us About Neural Coding." In this report they state, "The later development of intracortical microstimulation (ICMS), a technique in which trains of short (100â€“200 ms) constant electrical pulses of small current intensities (1â€“100mA) are delivered extracellularly via a microelectrode at rates of tens to hundreds of Hertz, enabled a more reliable activation of localized populations of neurons and directly influenced sensory perception, movement, and cognition." Yes. Science is speaking. So, actually, we are all hypersensitive to electromagnetic fields. We see this proved almost every day. If you had your skin-conductance tested while entering the most common and casual electromagnetic fields such as one emitted by a table lamp, the voltage on your skin, from head to toe, would instantly and reactively increase with every inch you moved closer to the center of this EMF source. This is why it is so critical in our work that we mitigate the fields closet to our clients; the fields created within their own homes and workplaces. So many with EMF sensitivity feel that it's just not fair that some of us can become so affected by electromagnetism while the greater majority (95-98%) do not sense or feel it at all. This is just another case where the old adage applies,"the world is just not fair." It's no joke, though, for those who suffer, often alone, with this health issue. Occasionally, I will hear that even a client's spouse thinks that they are just looney. Yes. It can be lonely, scary, and confusing. There is hope. There is definitely a way to lessen this sensitivity. Removing trace metals from the blood takes time, but clients have done it. EMF Sensitivity of the skin tissues can be lessened also, but this takes a little longer. Discharging trace metals from the brain area just takes even longer; usually 6-12 months. There is a way to metaphorically bloom like the colorful lotus blossom pictured above and rise from those feelings of being oppressed and burdened by EMF that are everywhere you go. Coping with the overt symptoms of EMF Sensitivity begins on the cellular level. Of course, none of us can consciously sense levels as low as a few hundred nano-amps, but there is mounting scientific evidence that conscious sensitivity to higher levels is a natural result of one having higher than normal trace metals or even naturally occurring biogenic magnetite in their tissues. The later was a result of a study by Caltech's Joseph Kirschvink, in 1992. Here, Kirschvink reveals that we all have ferromagnetic magnetite (Fe3O4) in our brain tissue and throughout our bodies. Iron not only acts as an antennae for electromagnetism, but it magnifies its intensity. In 1975, Allen Frey demonstrated that continuous exposure to microwaves at power densities as low as 30 micro-watts can weaken fine membranes such as the blood-brain barrier (BBB). A permeable BBB will allow larger sized trace-heavy metals such as mercury, cadmium, aluminum, lead, antimony, and others, to penetrate the BBB. These metals can easily latch onto nearby magnetite and add to the already naturally occurring antennae. Why do I say, "Naturally occurring antenna?" Because in 2016, the same Joseph Kirschvink proved that we use, and probably have always instinctively used, our magnetite to sense polarity changes in the Earth's magnetic fields to aid in our brain's awareness of daytime's short waves shifting to night time's much longer waves. When this connection is made, the pineal gland is signaled to begin production of melatonin, which most of you know makes us become sleepy. Once trace-metals magnetically attach to magnetite, they may become more difficult to extricate from the brain, but this is still possible. 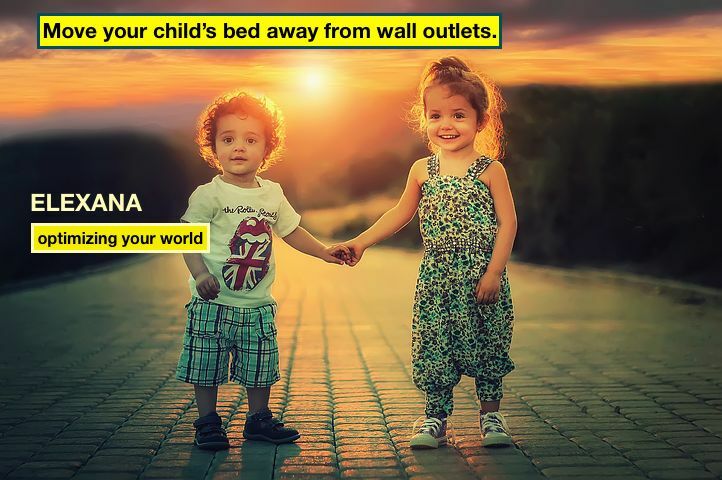 The folks at www.elexana.com have a program that helps. It's best for everyone to reduce their exposure to electromagnetic fields, especially powerful ones. The first phase of our program is to lower the electromagnetic field within close proximity of the body while sleeping so that the electromagnet created within the brain has a weakened force. This, ipso facto weakens the magnetic force holding the trace metals to the magnetite. It is while we are asleep that our brain fluids help cleanse the brain. The human body has the ability to fight off bacteria and foreign proteins, to a point. It also works to emit any inorganic materials that it determines to be harmful. This brings us to the second phase; to give the body the proper supportive nutrients it needs to facilitate the body's efforts to release or transport heavy metals and all other toxins from its cells. The third phase is to give you the tools and techniques to maintain a lower skin-body voltage on the epidermal and dermal levels, throughout the day. We guide you towards foods and drink that facilitate both the expulsion of toxins and consult on ways to take in less. We suggest various methods for you to move from Sympathetic ON. We help give your body the chance to heal. The process takes time, but it has proven to be effective. Every day, I get asked this question. Too often I encounter people causing themselves unnecessary stress and anxiety because they recently self-tested their home using an amateur meter and are consequently freaking out because of the high measured levels. Many EMF meters are so inaccurate that the readings are just ridiculous. If they would have used those precious funds to pay for a legitimate EMF home testing, then they would have avoided so much anxiety. Further, don't fall for these EMF online salespeople (and, just recently I learned of another EMF Consulting company, I dare not mention.) They'll sell you a grounding pad, harmonizer, phone sticker, pendant, RF blocking hat, or some other hoax waste of money without even flinching. Some people we encounter are so sensitive to EMF that they ARE the meter. When they enter a powerful electromagnetic field they immediately begin to feel uncomfortable. He/she may feel tingling on their bodies, heat sensations, pain or pressure in the head or spine, nausea, vertigo, tinnitus, racing pulse, and more. For EMF sensitive or just health-conscientious people who are about to start looking for a new place to live, just using one's own sensory abilities is not the best way to go. These are accurate lower level meters that won't break the bank, have excellent sensors, and are very easy to learn how to use. To have an EMF technician test every property you are interested in can be cost prohibitive. Via an EMF phone consultation, I can guide you in using these meters correctly, record the data, and report back to me. With this information, we can discuss and assess each property, together. It's not like having me with your testing, but it will suffice. Remember, this would only be a basic testing. 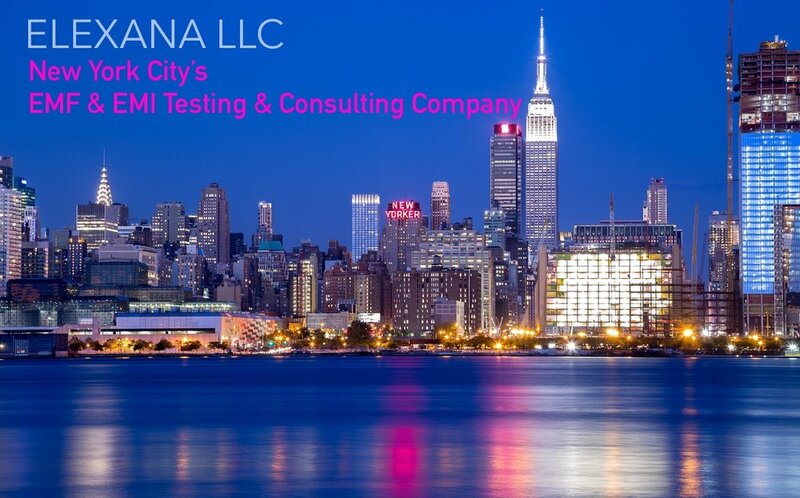 It is not nearly as in depth and thorough as a full home EMF testing such as the one you would receive from ELEXANA or from one of the few competent EMF testing consultants in North America. If I were not an EMF Consultant myself and in the market for a new home, I would definitely buy those meters I mentioned previously and before flopping down that big down-payment and signing the contract, I would hire an EMF Consultant to do a complete examination of the property and home. Often, the electrical wiring mistakes alone which I find can be put back on the owner. These costs saved are oftentimes less than the EMF testing cost itself. We have a small list of the few companies we can recommend to you which may be nearby your location. Are you using or thinking about buying an EMF Grounding Mat or Pad? It's unbelievable that so many health "experts" are selling and/or recommending these dangerous gimmicks and awful wastes of money. I'm seeing such convincing salesmen on YouTube and the rest of the internet peddling all kinds of products with "slight-of-hand" videos and authoritative claims based in incorrect science. Yes. Another good one is the satisfaction or money back guarantee. medical science testing has shown that the placebo effect can be up to 50%. So, you just spent a boat-load of moneyâ€¦of course, you would want it to work. Be gentle on yourself. Unless someone has put exhaustive study time into understanding how electromagnetic fields actually function and what they are, it is quite understandable that anyone could be duped. Once we learn about the harmful effects of EMFs (or, even worse, we begin to experience them for ourselves) then it's a set-up to becoming vulnerable to all the various scams. A professional EMF testing and consultation will potentially save you from years of ill health and EMF scams. It's more than a testing, it's an education that will last a lifetime. In other words, the Body-Skin voltage test will show that your voltage reading is zero. But, this is where most get fooled. If we also measure the current passing over your skin, it will be considerable and the frequency of this current will usually register in the VLF range, above 2 kilohertz. Think of a music hall where a certain sound frequency resonates better than any other. This is what the Schumann Resonance is like. It is an inaudible sympathetic resonating vibration @ 7.83 hertz. It is not the same as the frequency projected by an electronic gadget. This is just adding an electromagnetic field to your environment and not blocking anything. There are many other ways to make your home safe. Call us for an EMF testing and consultation. It will be worth every penny. It will provide generational information to make you and your family healthier and safer. Before bedtime, power OFF your WiFi and all wireless devices. This will improve your sleep function and cause the magnetic build-up in the modem to dissipate. It will only take a couple minutes to power UP in the morning. This will improve your modem's function providing less latency and helping it to run smoother and faster. And, your electric bill will be lower. WIN, WIN, WIN! Contact us for easy ways to make this happen. During the Bubonic Plague, medical professionals scurried to find a vaccine or chemical cure, with no success. Eventually, a simple suggestion to test the water supply pointed towards the answer. Going literally "upstream" to discover a contaminated water supply, caused by rat feces and decaying carcasses, pointed to the cause. Following this common sense tradition, ELEXANA is the first "upstream" natural health and wellness company in the world. Using common sense science first, we're solving some very common diseases previously thought to be incurable, such as; insomnia, GERD, and more. Our unprecedented success rate continues to prove our thought process correct. Because most people can't conceive of things that have been around as long as electromagnetism and common household products as being harmful, especially because there are so many "studies" claiming that these "pose no ill-health effects," we find that these everyday toxins are usually over-looked. At ELEXANA, we have seen time and time again that reducing the power density of electromagnetic fields and improving the indoor air quality in one's home and place of business plays a major role in the unprecedented success our health and wellness programs are seeing. Google's motto is, "Do no harm." (Wasn't this also Star Trek's motto?) Retooling this motto is the first step towards improving your health: take away what is doing YOU harm. If you don't "believe" that prolonged exposure to strong or high levels of electromagnetism is causing you harm, then dig deeper into the other side of the scientific argument. Watch some videos on our research page. Or, just try our services and witness how much better you feel. Powering OFF your WiFi and other wireless devices at bedtime are not only healthy for you and your family but is actually good for your devices, too. Yes, the magnetic build-up in your modem will dissipate the electromagnetic interference (EMI) thus improving its function when you power it back ON. This EMI, which we can also measure while it travels at light speed in your room, using units V/m3 (Volts per meter-cubed), will no longer be affecting you from this source. If your cell phone (originally called a microwave transmitter) wasn't significantly powerful, then why are you demanded by the airline pilot to place it on "airplane mode" prior to the landing gear being engaged? Why are there "NO Cell Phone" signs in certain hospital wings? ELEXANA starts at the beginning. We don't start backward by treating symptoms hoping that the illness will go away if the client begins feeling better or "shows signs of improvement." (By the way, did you know that the placebo effect using medications can be up to 50%!) We simply take away those things that may be causing your body harm and then provide you with lifestyle suggestions and nutritional improvements that will give your body the best chance to do what it is genetically programmed: to heal itself. There are no long lists of ill-side effects caused by doing exercise and eating a salad! We don't profess to have all the answers, but for the few common health problems we claim to be able to help you with, working together with you, we are successfully getting the job done. One client said, "What do I have to lose, I will end up healthier than when I started the program?" True. But, just being healthier is not enough. We aim to help solve your health problems and for you to thrive. The stress on your skin caused by increasing your skin's voltage has many effects. Don't handle a charging phone. Call us for a phone consultation. It's time to become more aware of your exposure to electromagnetic fields. As a passenger in a truck or automobile, you are already receiving quite a bit of electromagnetism from the engine's electromagnetic field, especially if it's a hybrid vehicle. Most readers are already aware that reflective surfaces will increase your electromagnetic field radiation exposure, due to the ricochet effect, so why would you ever want your cell phone set on cellular and add to this electro-schmutz? Not every vehicle has a built-in navigation GPS system. So, what do you do if you are lost while driving? Yes, you can use you phone's GPS if you have location services activated. Just set your phone on "airplane mode." In airplane mode, your phone is not sending/receiving electromagnetic particle-waves, benignly termed "signals," from the nearest microwave transmitters (A.K.A. Cell Towers). With location services enabled, your phone's location is being tracked by satellite and the GPS app will still work. There is still some increase to the already present EMF field, but less than when the phone is on the cellular setting. This is all a compromise; using the lesser of evils in a pinch, but you will be able to calmly find your destination and avoid distractions that could cause an accident. With the repletion of education and information that the internet provides, EMF (electromagnetic field) radiation has increasingly become a topic of concern; especially when it comes to buying a new home. US government safety standards for EMF radiation are no longer taken seriously by informed Americans. Powerline AC Magnetic Fields or ELF (Extremely Low-Frequency Radiation) and cell tower transmitter RF (Radio Frequency or Microwave Radiation) emissions are becoming the foremost concern among a growing number of home buyers. What does today's real estate agent, attorney, or home buyer need to know? First, America has no official public safety limit or distance due to EMF radiation for how close a property can be to a power line or cell tower transmitter. Anyone who wants to employ an excessive level of EMF for their cause or reason to be released from their responsibilities agreed to by contract will not prevail in a court of law. Therefore, good advice for an inexperienced buyer is to have the desired property assessed before entering into a purchase agreement. It costs a lot less money and aggravation to have a home tested for EMF than it costs to break a signed contract. Here's a story of a situation that occurred a few months ago. A man, interested in buying a house on a few acres in southwestern New Jersey, requested an EMF Testing. He shared that he had just shown the house to his brother who remarked that the power lines crossing through the backyard "looked nasty" and that the property should be assessed for EMF radiation. The new caller admitted that he had knew little about EMF radiation but wanted to have the property tested before moving his young family into this new home. I tested the AC Magnetic Fields (ELF); the frequencies in the EMF spectrum associated with power line energy. The readings were elevated throughout the property. Unforeseen, there was actually another power line running underground just beneath the front yard that caused elevated magnetic levels inside this house. The lines out back consequently affected the large backyard where the boys would be playing. In the written EMF Report, he received all measured and recorded data, safety standards from countries outside the US, and a link to the BioInitiative.org website. The next day, I received a phone call from his lawyer. She summoned, "Based on your expert opinion, what is your safety limit for ELF radiation?" I asked her why was she was phoning me, and not my client, and if this conversation was being recorded. She said, "Yes." She divulged that our mutual client had already signed a contract with the owner, prior to our first contact. Oh, boy. The client had apparently gone to the owner with his EMF Report. The owner then replied that none of this was his concern. (Nice guy, huh?) If the client didn't want the house, then he would lose his money. That's when he called a friend's attorney. I emailed my client to phone me. He shared that the owner would not let him test the property unless he paid a $1000 deposit towards the signing fees and that this money was not refundable. However, there was an easier way for him to be released from this contract. Because the owner would not let him test the property for EMF unless he signed a contract and paid monies, he technically entered this contract under duress. Therefore, the contract could be dismissed. 1) You have the right to test your prospective dream home for electromagnetic radiation. 2) You should have the home tested before entering into a signing contract. It could save you money and aggravation in the long-run. 3) Real Estate agents should know that if they maintain their integrity and look out for their clients' best interests, then they will not only sleep better at night, but will build a dependable, faithful, and loyal client base for referrals. 4) When in doubt, definitely have your home tested for electromagnetic field radiation. It could save you and your family's life. It costs you nothing and can bring you many invaluable benefits. It can help you achieve a state of calmness and center. It can bring you to a state of parasympathetic-off. It can help heal your brain by increasing Theta brainwaves. It can help repair the adrenal glands and the thyroid. It can help the lymphatic system flow. It can help the body release heavy metals. It can increase your both your I.Q. and emotional intelligence. It can lower your stress and your blood pressure. It can increase electron flow to your meridians. It can increase your life-force. It can prolong your life. It can bring you peace. This simple meditation is one of the oldest. I hope to share more, in the future. Being able to achieve a state of calmness is essential for anyone trying to maintain a healthy lifestyle or heal from an illness. Integrating meditation into your life will certainly have multiple benefits. My meditation teacher, Dr. T.K. Shih, rest his soul, claimed that not only would it ensure your mental and physical health, but it would also increase your intelligence. It will most certainly increase your emotional I.Q. Here is an article I published years ago. I hope that it brings you some peace. Meditation is one of the most important healthy elements in my life. If you develop a good practice, it will be for you, also. "Let silence take you to the core of life." Today, making the rare mid-morning cup of Earl Grey tea brought back memories of years devoted to meditation. Recalling just how difficult the first six months of daily practice were; trying to sit in silence, quieting the mind. It seems like another lifetime. I remember how seemingly impossible and improbable the endeavor was, as well as frustrating. Why was my mind so absurdly difficult to control? Like an R.E.M. dream state, miscellaneous thoughts would pop up or fade in with the slightest provocation. Self-possessed, my mind would latch on to something that happened in the past or ponder tasks that needed to get done. This failure to quiet the mind was proof enough that I may have thought I was awake when my eyes were open, but actually, I was still very much asleep. It could be safe to say that most of us think we are awake, while going about our affairs, but are also living and functioning in a similar dream state, more or less; letting the mind drift from one thought to the next. Or, at times fixating on an issue or event mistaken as focus, concentration, or clarity of thought. Describing silence, an impossible task, is a Zen Koan unto itself. Often, it is defined by what it is not - the absence of sound. In the case of meditation, it is the absence of secondary thought or psychological or psychic noise. It's a state of quietude, a still mind. It is the condition of being, existing, breathing. It is unfathomable, limitless, and boundless. The concept of a silent mind has intrigued seekers for thousands of years. In Psalm 62, of the Old Testament, we find: "For God alone my soul waits in silence; from him comes my salvation." 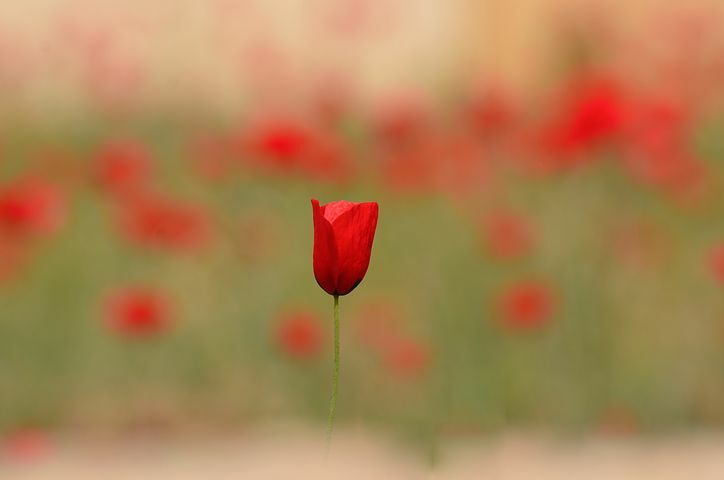 Isadore Twersky, Orthodox Rabbi, and Harvard Professor states in his Introduction to the Code of Maimonides: "One must be attuned to the silences." The first line of the Tao De Ching: "The Tao that can be spoken is not the eternal Tao." The Tao is Silent and ever present. It is the infinite void. But most importantly, emptiness has potential; like an empty urn ready to be filled. This ready vessel or prepared mind invites knowingness, consciousness, creativity, truth, and love. It intuitively comprehends the "known" that has no name, words, or teachings. The Tao recommends: "Do Nothing, but leave nothing undone." This quote is one of my all time favorites! Every time it's revisited, a deeper meaning is uncovered. The brilliance is in the first part: "Do Nothing." It is the silence. The quiet. The peacefulness. The release and relief from striving. It is the sureness, the certainty, the stillness of calm reserve, natural confidence and composure. It is Joseph Campbell's "infinite moment." Silence is the moment that is freedom. Intimate knowledge and the mental resources to tap into this silence give us the ability to thrive in every moment, with vibrancy and freshness. To see an event as unique and distinct, without history or prejudice, judgement or fear. To see that it is perfect with all of its various imperfections. With this understanding, the reader can begin practicing "walking meditation" or, in other words: live each moment with consciousness. This way of mindfulness requires intelligence and attentiveness. With humility and self-awareness, it is possible. From the 7th century, we have a poetic recount of the benefits of an attentive mind. "Silence is the mystery of the world to come. Speech is the organ of this present world. More than all things love silence: it brings you a fruit that the tongue cannot describe. In the beginning, we have to force ourselves to be silent. But then from our very silence is born something that draws us into deeper silence. May God give you an experience of this 'something' that is born of silence. If you practice this, inexpressible light will dawn upon you." From silence comes an indescribable and alluring feeling; bearing witness to grandeur and wonder, a dimension with a life of its own. Silence is the quality of being.